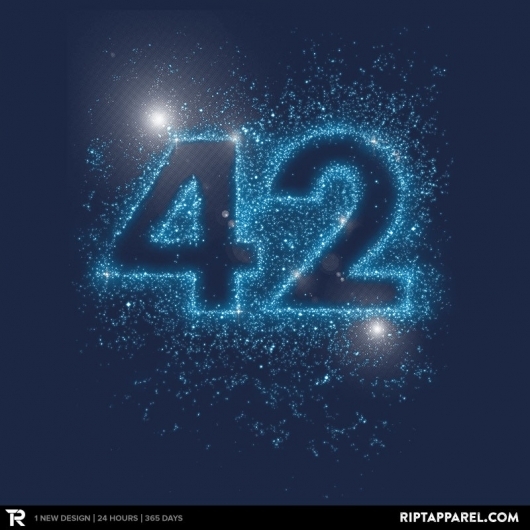 The deal of the day over at RIPT Apparel today is for two The Hitchhiker’s Guide to the Galaxy-inspired designs: “Constellation 42” (see image above) by drsimonbutler76 and “Marvin On Life” (see image below) by swissette. Both designs went on sale at RIPT today, Saturday, April 26, 2014, at midnight CST, and will continue for 24 hours from then, and once it’s over, it will not be sold on the site anymore. 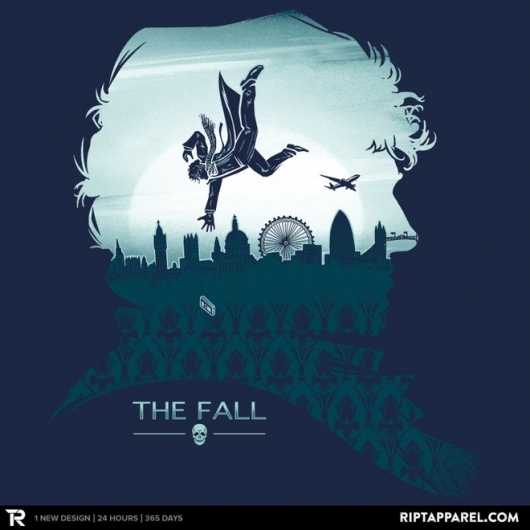 The deal of the day over at RIPT Apparel today is a design inspired by the television series Sherlock called “The Fall” by onebluebird. The shirt went on sale at RIPT today, Saturday, March 1, 2014, at midnight CST, and will continue for 24 hours from then, and once it’s over, it will not be sold on the site anymore. The deal of the day over at RIPT Apparel today is for two Doctor Who-inspired designs: “Planet of the Angels,” a mash-up with Planet Of The Apes (see image above) by davecollinson and “Who Now?,” featuring the twelve Doctors (see image below) by thisisjonturner. Both designs went on sale at RIPT today, Tuesday, February 25, 2014, at midnight CST, and will continue for 24 hours from then, and once it’s over, it will not be sold on the site anymore. 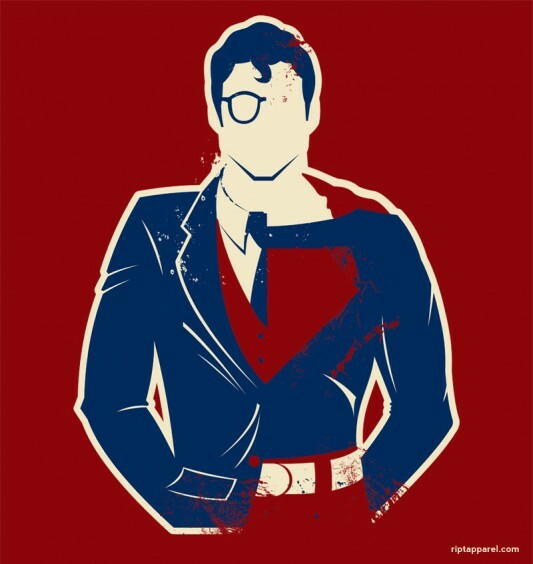 The $10 t-shirt deal of the day over at RIPT Apparel is the Superman-inspired “Kent” by artist r0gue. The sale at RIPT began today, Thursday, June 16, 2011, at midnight CST, and will continue for 24 hours from then, and once it’s over, it will not be sold on the site anymore. 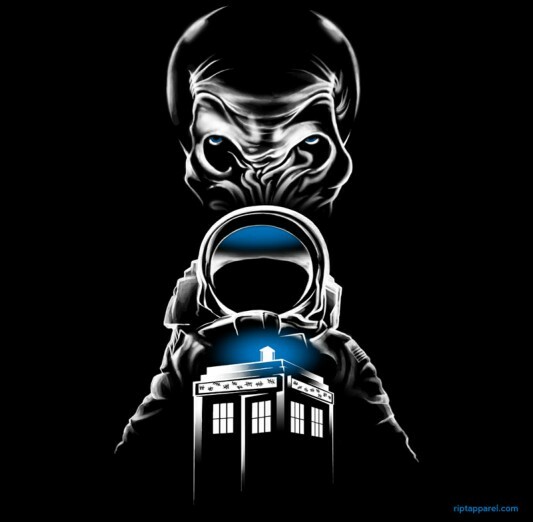 The t-shirt deal of the day over at RIPT Apparel is a Doctor Who-inspired shirt called “The Impossible Astronaut” by artist 6amcrisis. The tee went on sale at RIPT today, Friday, June 10, 2011, at midnight CST, and will continue for 24 hours from then, and once it’s over, it will not be sold on the site anymore. The design is based on the Doctor Who Season 6 episode titled The Impossible Astronaut. 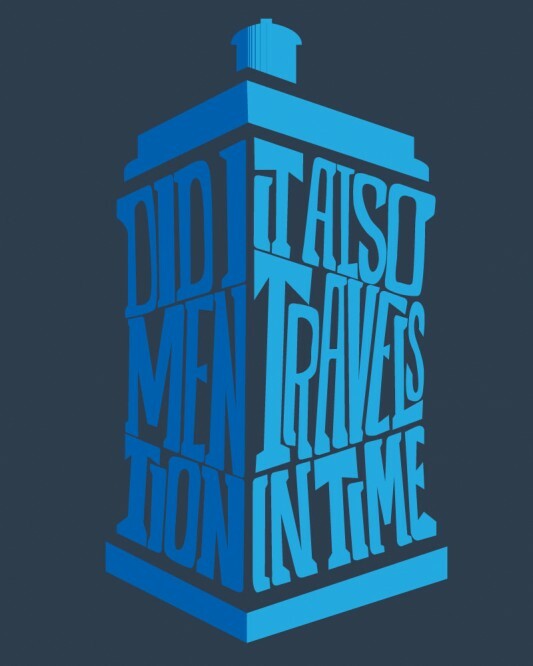 The $10 t-shirt deal of the day over at RIPT Apparel is a Doctor Who-themed shirt called “It Also Travels In Time” by artist D4N13L. The sale at RIPT began today, Wednesday, June 8, 2011, at midnight CST, and will continue for 24 hours from then, and once it’s over, it will not be sold on the site anymore. 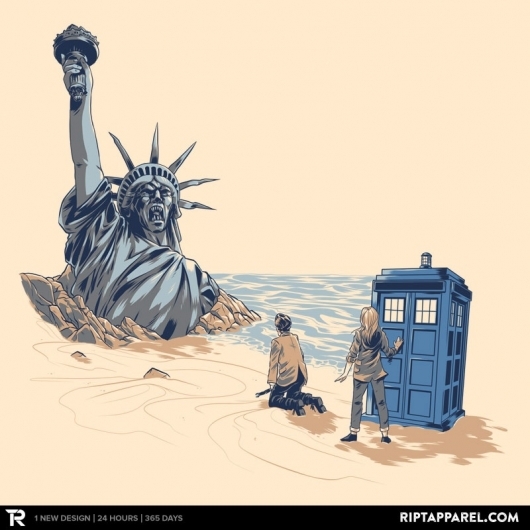 Just like the Doctor, this shirt has regenerated! The design is actually a reprint of a shirt that was sold last year and it’s a great shirt, so definitely get in on this one right away! 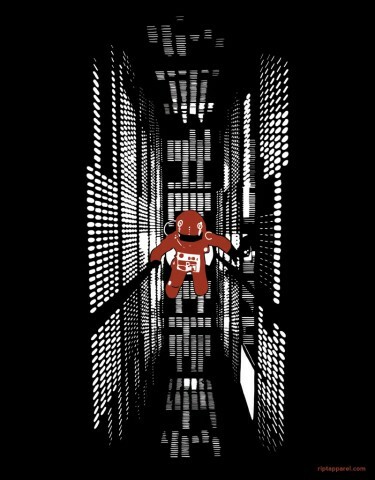 The $10 t-shirt deal of the day over at RIPT Apparel is the 2001: A Space Odyssey-themed shirt called “I’m Afraid Dave” by artist glenoneill. The sale at RIPT began today, Tuesday, June 7, 2011, at midnight CST, and will continue for 24 hours from then, and once it’s over, it will not be sold on the site anymore. 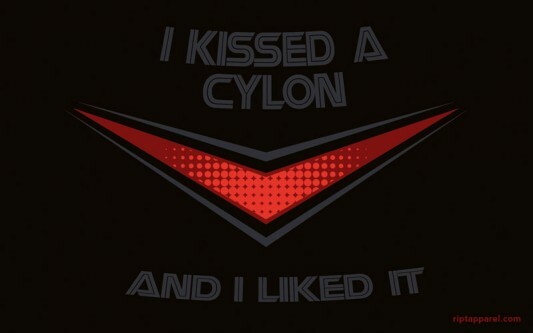 The $10 t-shirt deal of the day over at RIPT Apparel is the Battlestar Galactica-themed shirt called “I Kissed a Cylon” by artist Matt Dearden. The sale at RIPT began today, Monday, June 6, 2011, at midnight CST, and will continue for 24 hours from then, and once it’s over, it will not be sold on the site anymore. 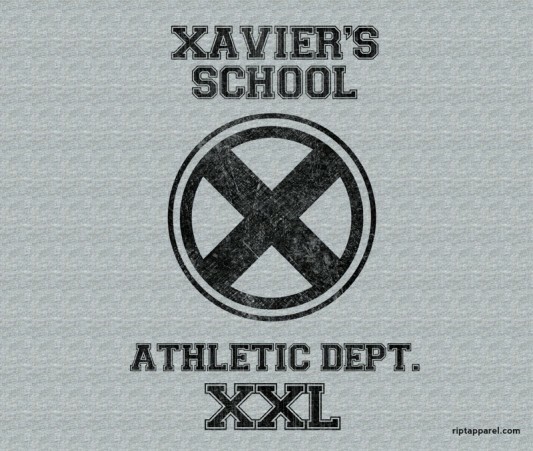 The $10 t-shirt deal of the day over at RIPT Apparel is the X-Men-themed shirt called “Xavier’s Athletic Department” by artist jchristianreed. The sale at RIPT began today, Sunday, June 5, 2011, at midnight CST, and will continue for 24 hours from then, and once it’s over, it will not be sold on the site anymore. 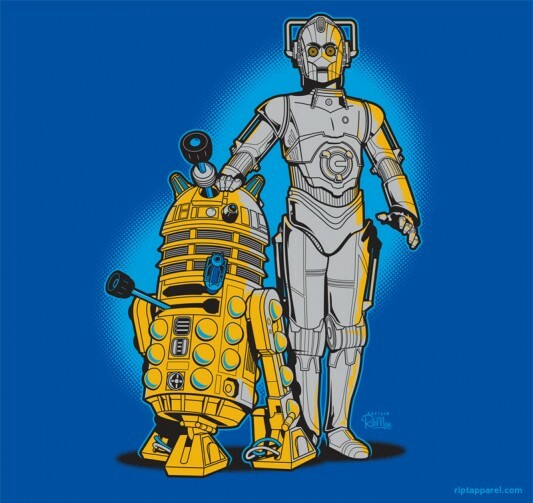 The $10 t-shirt deal of the day over at RIPT Apparel is a mash-up of Doctor Who and Star Wars called “R2D WHO and CYB3R PO” by artist Captain_RibMan. The sale at RIPT began today, Tuesday, May 31, 2011, at midnight CST, and will continue for 24 hours from then, and once it’s over, it will not be sold on the site anymore.